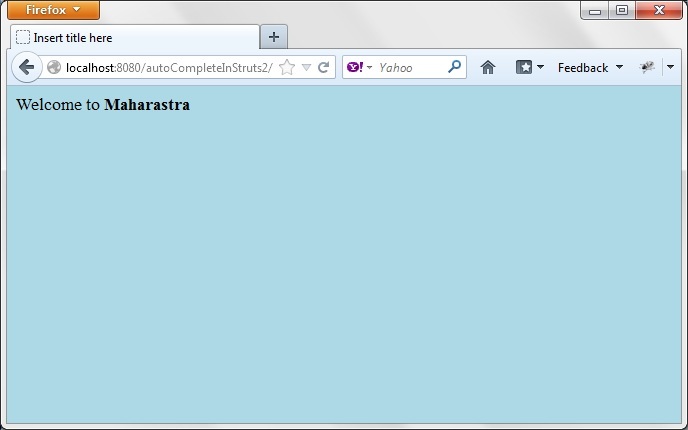 This tutorial is designed for Java programmers who need to understand the Struts 2.x framework and its application. Before proceeding with this tutorial you should have a good understanding of the Java programming language. A basic understanding of MVC Framework and JSP or Servlet is very helpful. Struts2 supports annotation based configurations which are easy to create and more intuitive. 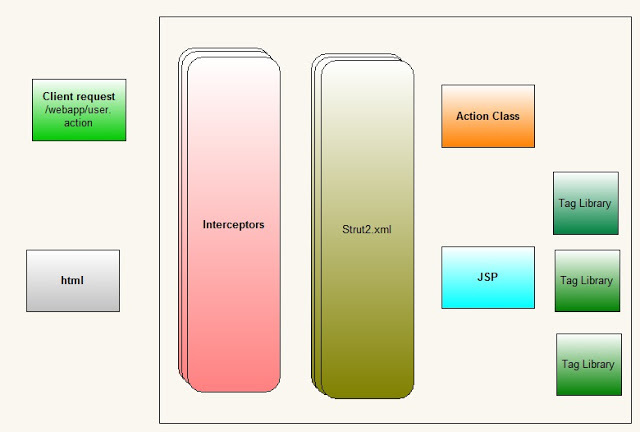 Action class in Struts 2 act as the model in the web application. Unlike Struts 1.X, Struts 2 Action class are plain POJO objects, thus simplifying the testing of the code. Struts2 also comes with power APIs to configure Interceptors that reduce greatly the coupling in application. The view part of Struts 2 is highly configurable and it supports different result-types such as Velocity, FreeMarker, JSP, etc. 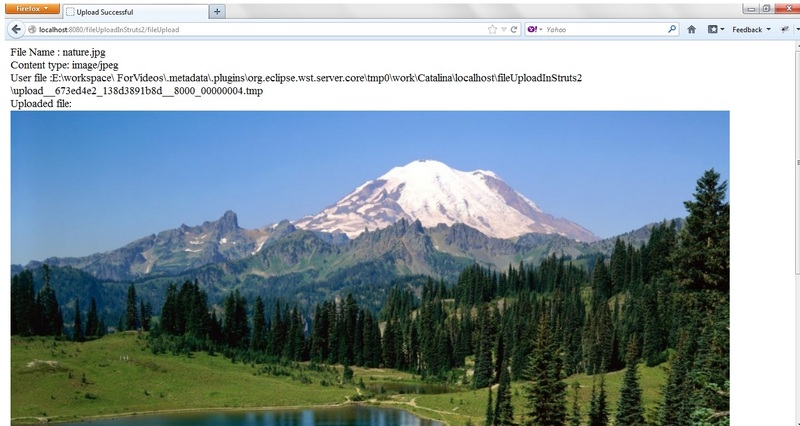 Client-Client generates request which is processed by webContainer.Example of client can be web browser. 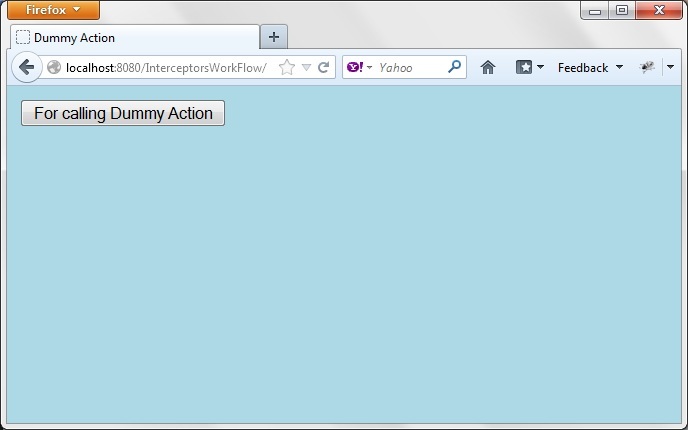 Interceptor-Interceptors can execute code before and after an Action is invoked. Most of the framework’s core functionality is implemented as Interceptors. Features like double-submit guards, type conversion, object population, validation, file upload, page preparation, and more are all implemented with the help of Interceptors. Each and every Interceptor is pluggable, so you can decide exactly which features an Action needs to support. Strut2 xml– Struts2.xml acts as a router which invokes action class for client request. 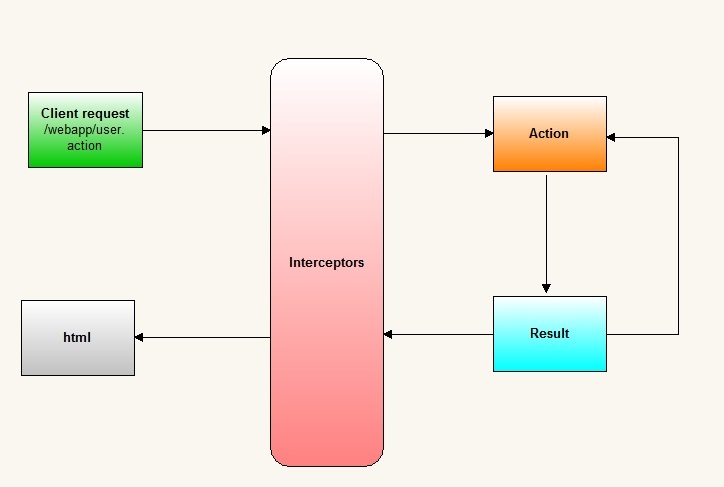 Action-Action module considered as a model class which invokes business service and function logic. JSP-It is view part.According to action,Corresponding JSP files is rendered and result is returned to user. User generates request which then goes to servlet container. Servlet container invokes FilterDispatcher filter which in turn directs to appropriate action. Struts1 extends the abstract base class by its action class. The problem with struts1 is that it uses the abstract classes rather than interfaces. An Struts 2 Action may implement an Action interface, along with other interfaces to enable optional and custom services. Struts 2 provides a base ActionSupport class to implement commonly used interfaces. Albeit, the Action interface is not required. Any POJO object with a execute signature can be used as an Struts 2 Action object. Struts 1 Actions are singletons and must be thread-safe since there will only be one instance of a class to handle all requests for that Action.Struts 2 Action objects are instantiated for each request, so there are no thread-safety issues. A major hurdle to testing Struts 1 Actions is that the execute method exposes the Servlet API. A third-party extension, Struts TestCase, offers a set of mock object for Struts 1. Struts 2 Actions can be tested by instantiating the Action, setting properties, and invoking methods. Dependency Injection support also makes testing simpler. ActonForms are used in Struts 1. These classes map with the jsp forms. The Action classes use the data in these ActonForms to populate Data Transfer Objects. 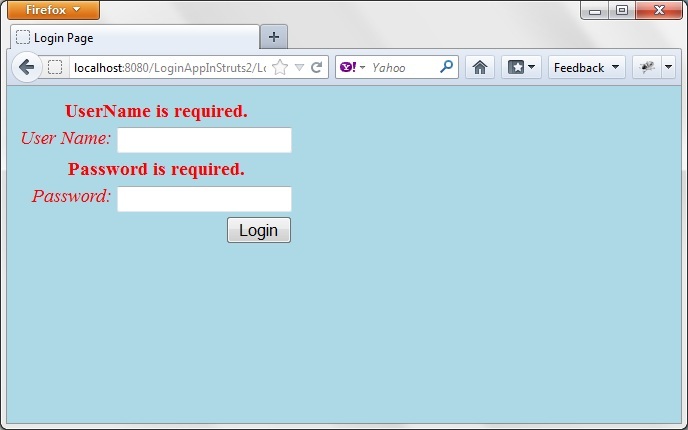 But in Struts 2 Acton Forms are not used. The jsp forms direct map to POJO, and there is no need to create DTO, thereby the number of classes decreases leading to less maintenance. Struts 1 integrates with JSTL, so it uses the JSTL EL. The EL has basic object graph traversal, but relatively weak collection and indexed property support. Struts 2 can use JSTL, but the framework also supports a more powerful and flexible expression language called “Object Graph Navigation Language” (OGNL). Now In next post,we will configure struts 2 in eclipse . This tutorial is really helpful for me. Do u have other good struts 21 material links/docs ?? ?